Keep your riding hat in mint condition with the help of these six products. You may not always feel hi-vis is necessary, especially now the days are longer and the weather is better, but making the effort can mean the difference between life or death. Wearing hi-vis gives vehicle drivers three seconds of extra reaction time. Although there's currently no law to ensure you and your horse wear hi-vis we'd always recommend you do, not just because drivers will see you sooner, but you'll be seen when you ride off-road too. Here's a selection of hi-vis wear for your horse to wear that suitable for all year round. This three-piece set fits neatly onto your bridle. Fluorescent with bright silver retro-reflective tape for additional safety and clear visibility. These bands fit neatly around your horse's legs or over boots. Fluorescent with silver retro-reflective tape for safety. These durable leg bands have a mesh lining to prevent your horse getting hot, and fasten with two strong velcro straps. Golly Galoshes, not only keep your horse’s legs and boots clean and dry but their reflective and fluorescent versions, also offer great visibility when out hacking. Because Golly Galoshes are breathable, waterproof they can be worn comfortably over your horse's boots or on their own. A simple and effective design that’s perfect for summer riding. It incorporated fluorescent webbing and Reflexite tape to ensure you’re clearly visible. Quick and easy to attach to your saddle and much lighter than an exercise sheet. A waterproof and breathable sheet with soft fleece lining, this high-viz exercise sheet combines a wrap-around design providing both warmth and protection from the elements. A breathable sheet that’s made from a lightweight mesh that won’t make your horse sweat. It attaches to your saddle to hold it securely in place. Fluorescent and reflective protection. These legbands can be worn on their own or over boots. The top surface of the legbands are wipe clean for convenience, although they can of course be machine washed. The tapes are sewn onto a quilted material which means they are very comfortable for the horse to wear. These Hi Viz Brushing Boots are the perfect protection for your horse when riding out. The bright fluorescent and reflective neoprene boots will ensure your horse is always seen for maximum safety. The strong hook and loop provides a reliable and durable fastening. The ultimate safety product for your horse. Crafted from mesh fabric, it prevents the horse from becoming agitated but provides the right amount of fit to avoid slippage. The fluorescent fabric ensures that your horse will always be seen. A classic brushing boots with the addition of high visibility straps to ensure your horse is clearly visible in low light. Brushing boots made from a highly reflective material. Quick closure system a single fastening. Part of Equisafety's Charlotte Collection the stunning elevated Arret waistcoat takes high-vis to the next level and is sure to stop people and horses in their tracks. The Arret waistcoat is made from lightweight and breathable, waterproof fabric and has a two-way front zip, two hidden side pockets and two open back vents - not to mention it has a stunning and ergonomic design. To find out more visit the Equisafety website. With the event season only a matter of weeks away, safety wear specialists Champion has put together their top 5 lorry must haves and eventing essentials for the season ahead. Whether you’re planning your first un-affiliated event or preparing for British Eventing success, your safety should always be at the top of your list. All the Champion hats and body protectors meet the current safety standards and are rigorously tested to ensure they are produced to the highest standard. For cross country, the Ti22 Body Protector will help you feel safe in the saddle. It's also flexible and comfortable thanks to the revolutionary SegTek construction. A heavy duty YKK zips, military grade outer mesh and ultra-lightweight foam all make this body protector easy and comfortable to wear. Add your own silk in your cross-country colours to the Ventair Deluxe and also take your pick of colours - black, navy, pink, silver to match the rest of your outfit. This hat is lightweight with a modern low profile design. It also incorporates a ventilated airflow system to keep you cool - just what you need when your galloping cross-country. You'll look the part In the show jumping arena wearing the Evolution Puissance riding hat. With its modern styling and effective airflow system you'll remain comfortable when you're under pressure. The synthetic suede finish with synthetic leather strips, a 4-point padded synthetic suede harness give this hat a truly classy look. The Champion Hat Bag will keep your precious hat safe and secure. Ventilation holes provide breathability whilst contrast diamond quilted lining offers cushioning. This bag also has several pockets, plastic cosmetic mirror and identity slot. This stylish Plumpton baselayer makes the perfect long sleeved cross country top. It’s made from a breathable fabric that allows heat and perspiration to escape, helping you stay at a consistent and comfortable temperature. The Evolution Puissance riding hat is already the hat of choice for many riders across all disciplines. Up to now this hat was only available in black, but due to popular demand, this season Champion has launched a brand-new navy option. 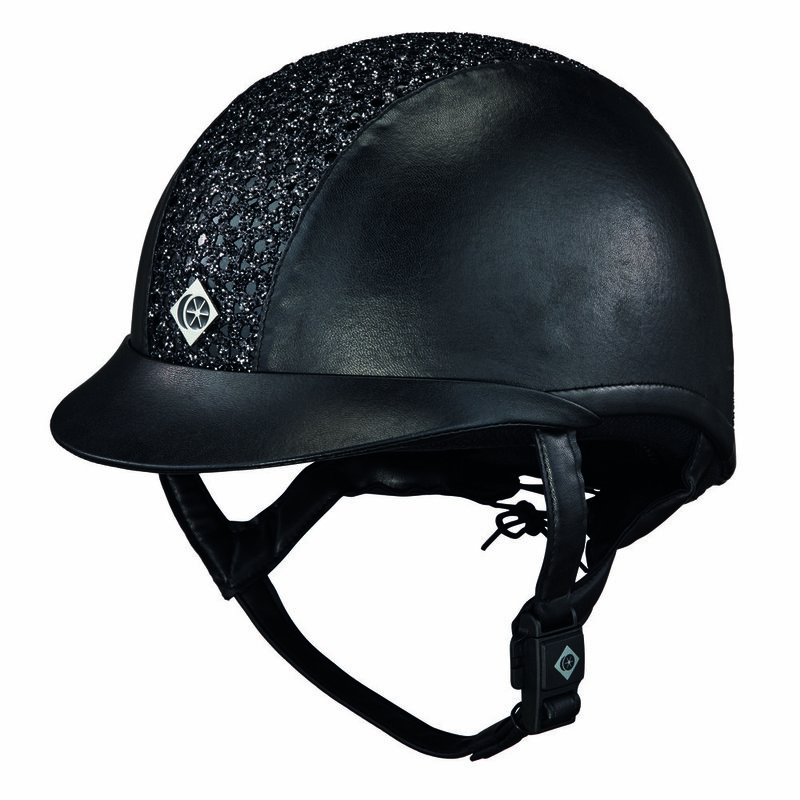 With its low profile lightweight fibre glass shell, this hat is a modern choice for everyday riding and competition use. 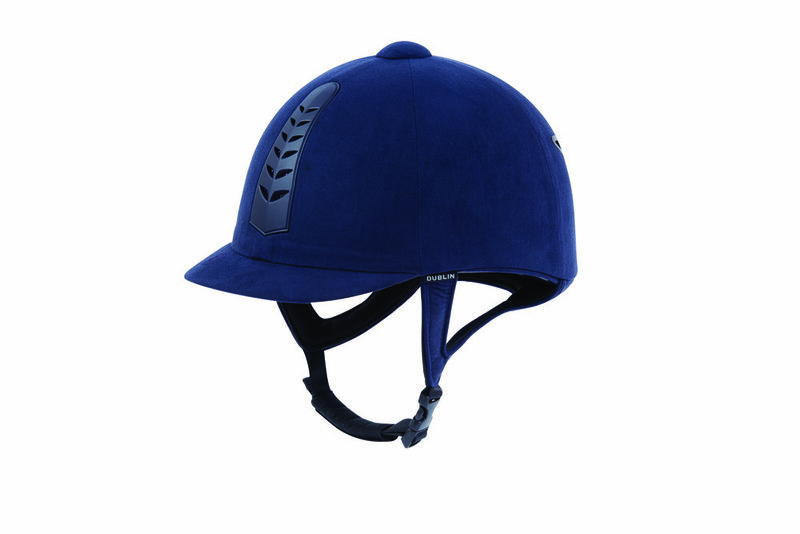 As well as stylish good looks, this hat also offers a highly ventilated airflow system to ensure maximum comfort and with the synthetic suede finish, high tech spacer and synthetic leather strips it really is a great looking hat that's sure to a popular choice for the season ahead. Features: The Glowsafe Waistcoat: Be safe and be seen with our GLOWSAFE® long-sleeved waistcoat. More effective than a traditional reflective vest, as our products are not dependent upon an external light source to be seen. Features: The Jack Ellis body protector features a breathable mesh lining with perforated foam sculptured panels for a comfortable fit. Available in a range of sizes and tail lengths. The outer material is wipe clean.